Students in the Fire Science/EMT program prepare for a career in public safety. This two-year, intensive academy program provides the necessary education, training, and skill development needed for entry level emergency services positions. At age 18 if successful, students can take state and national certification exams for Firefighter Levels I and II, and Emergency Medical Technician Basic. In addition, students will receive certification training in First Aid, CPR, AED, and FEMA. American Heart Association First Aid, CPR, & AED. Students will have the opportunity not only to be certified, but also receive up to 18 college credits toward a degree at 10 funded state colleges. Internships with The Warren County Fire Chief’s Association, and WCCC job placement are also available to students. Hospital clinical rotations, and Fire Department observations will also allow students to gain experience as they go through the program. 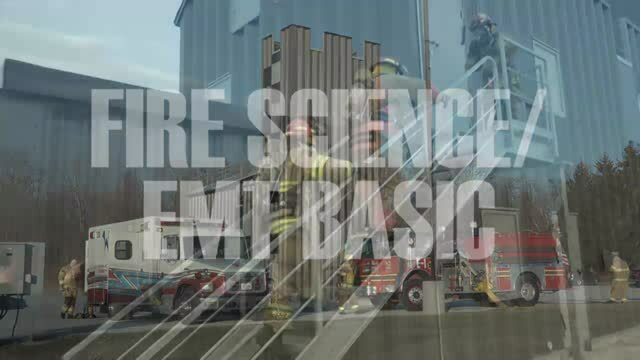 Opportunities to successful completers of the Fire Science/EMT program are abundant. Fire Science students participate in SkillsUSA, a partnership of students, teachers and industry, working together to ensure America has a skilled workforce. All students also have the opportunity to participate in the Tech Prep Showcase through the Miami Valley Tech Prep Consortium. Contact instructor, Chief Glen Beach at 513-932-5677 ext. 5232 or email Glen.Beach@mywccc.org.